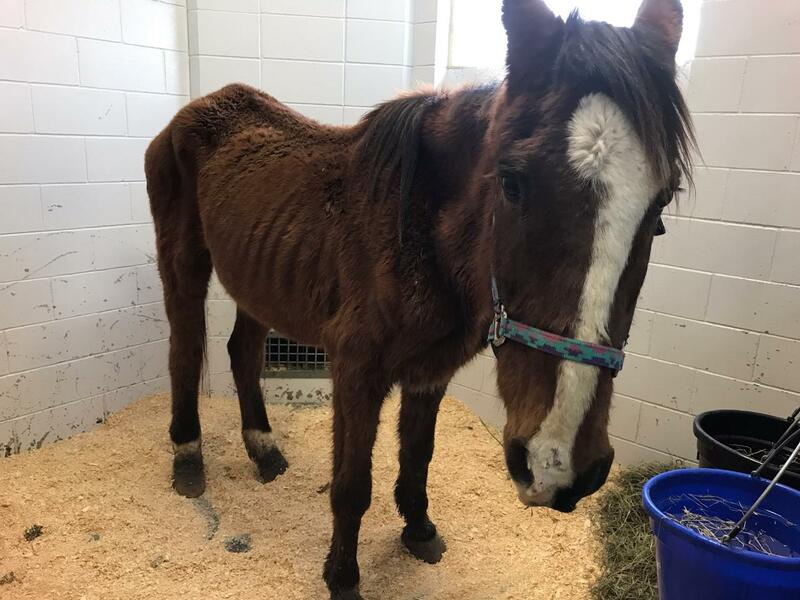 This bay gelding (now DECEASED)came to MHARF from a late March 2019 Fillmore County humane case. He was extremely emaciated and dehydrated and was taken directly to Anoka Equine Veterinary Services. 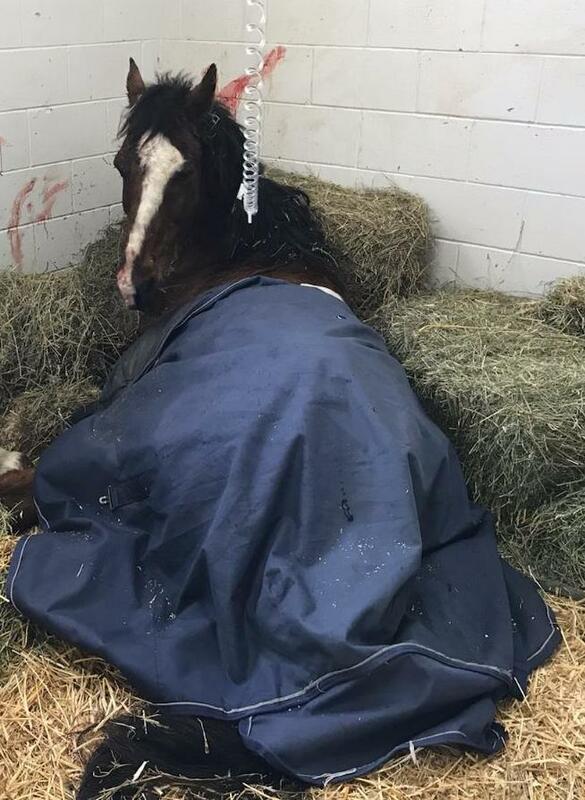 Unfortunately due to his extremely poor condition he went down and even though the staff and veterinarians at Anoka treated him and cared for him throughout the night and the following day, he continued to decline to the point where we needed to make the decision to euthanize him to alleviate his suffering. For more information on this case, links to media coverage can be found on our Home Page.